Saint Louis bed and breakfast travel guide for romantic, historic and adventure b&b's. 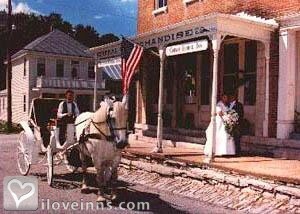 Browse through the iLoveInns.com database of Saint Louis, Missouri bed and breakfasts and country inns to find detailed listings that include room rates, special deals and area activities. You can click on the 'check rates and availability' button to contact the innkeeper. Saint Louis is the industrial and academic hub of Missouri with two leading research institutions -- Washington University and the St. Louis University, and some of the country's biggest private corporations such as MasterCard, Wells Fargo, Purina, Boeing Defense, Energizer, and Rent-A-Car to name a few. Saint Louis is also the home of one of the most popular and most successful Major League Baseball teams, the Saint Louis Cardinals which has the Busch Stadium as their home court and Saint Louis has been dubbed North America's Best Sports City. If it's parks that you want, Saint Louis has 105 of them. For lodging, you can stay at any Saint Louis bed and breakfast inns and in the morning visit the Missouri Botanical garden. Be sure to ask your bed and breakfast host for directions. By Fleur-de-Lys Mansion. Welcome to St. Louis, Missouri - Gateway to the West and home to an endless array of activities including art and history museums, major baseball, hockey and football sports teams, as well as Six Flags, the zoo and the Science center. Ride to the top of the popular Gateway Arch of St. Louis and look out over the Mississippi River. Citygarden is an artistic, lush oasis in the heart of downtown St. Louis. Forest Park boasts 1300 acres of lakes and walking paths. Experience a taste of Americana with a drive on old Route 66. 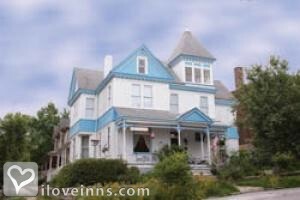 Reserve several nights at a local bed and breakfast to have a great adventure in St. Louis. By Beall Mansion, An Elegant B&B.